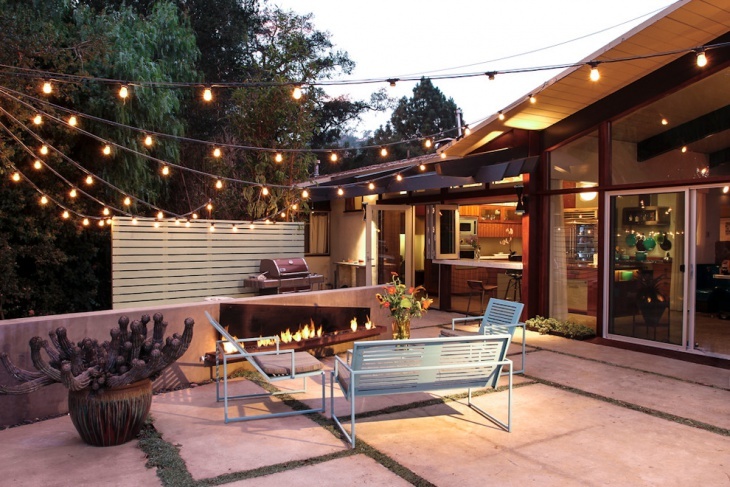 Have you been searching for an inexpensive and easy way to beef up your outdoor space? 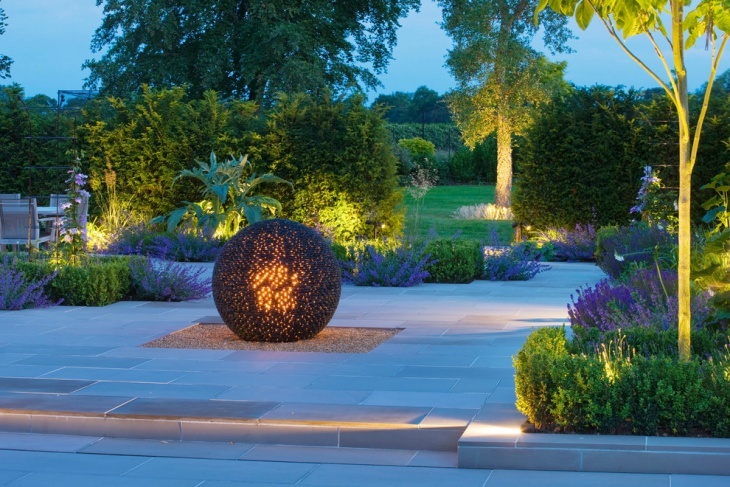 Lighting has been used over the ages to highlight outdoor arrangements and illuminate a distinctive mood. From kerosene lamps to simmering LEDs, there is a range of options that will blow your mind! 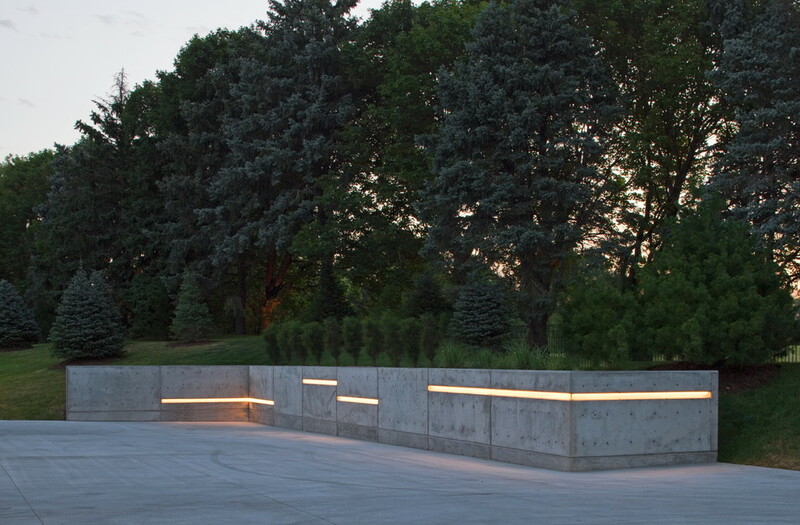 Put up at strategic points, unique lighting arrangements help achieve both look and functionality. 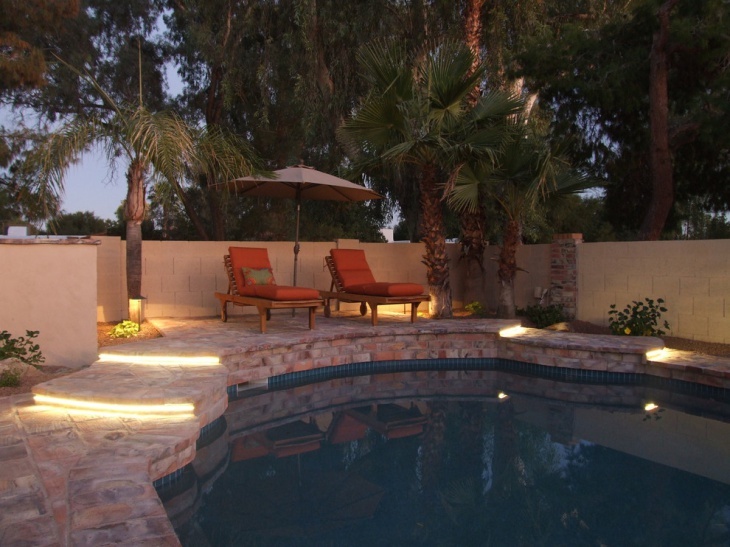 In this example, the homeowner had been able to achieve a unique setting using outdoor lighting fixtures. 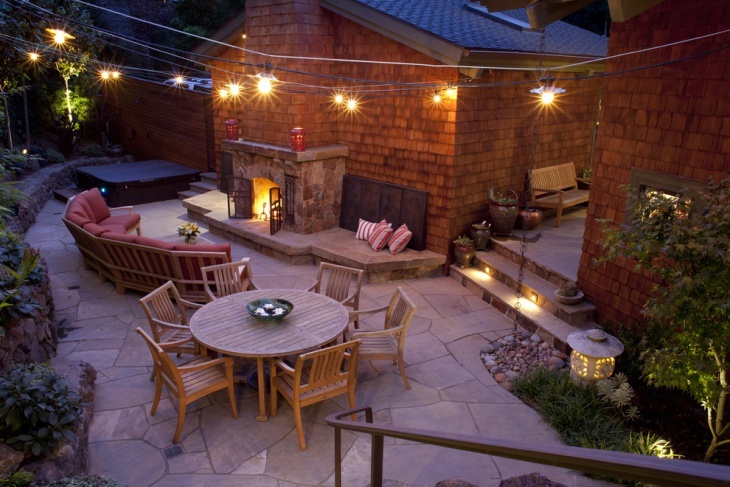 The long hanging lights create a warm ambiance, well complimented by a fireplace. 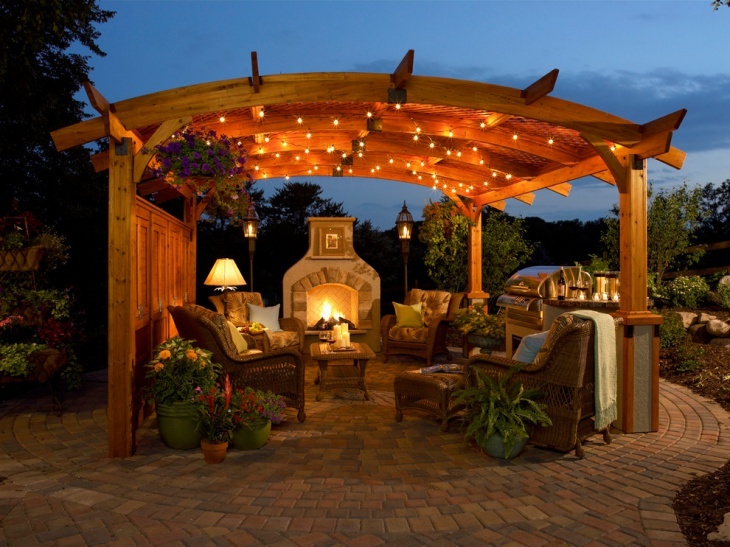 The wooden stack also adds to the earthly charm of the outdoor arrangement. 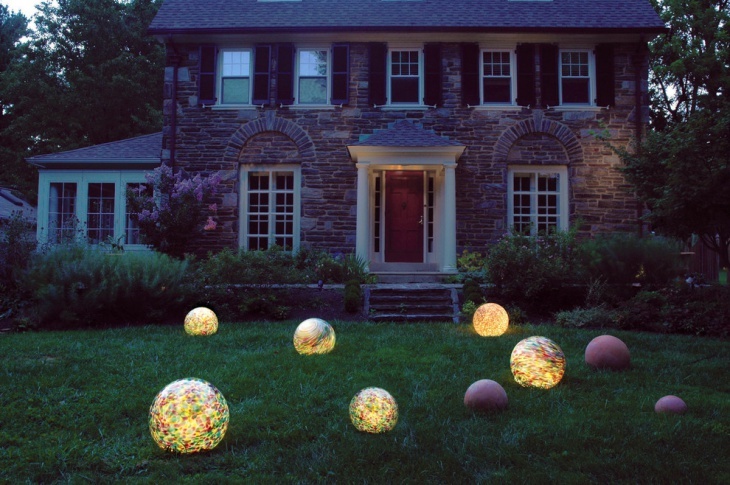 LEDs have evolved in the past couple of years to create ambiances that can be compared to the rustic charm of incandescent bulbs of yesteryears. In this example, we see how LEDs have been used to create a charming center stage for private parties and romantic evenings. 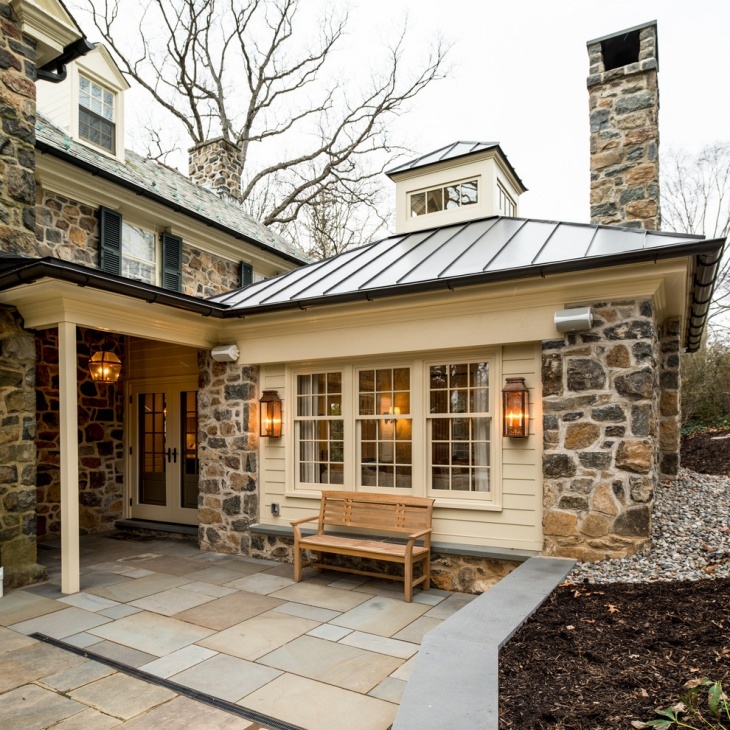 The warm lighting is well complimented by the covered fireplace. Simplistic yet sophisticated, these embedded wall lights create a transformational ambiance while meeting the requirements of illumination. 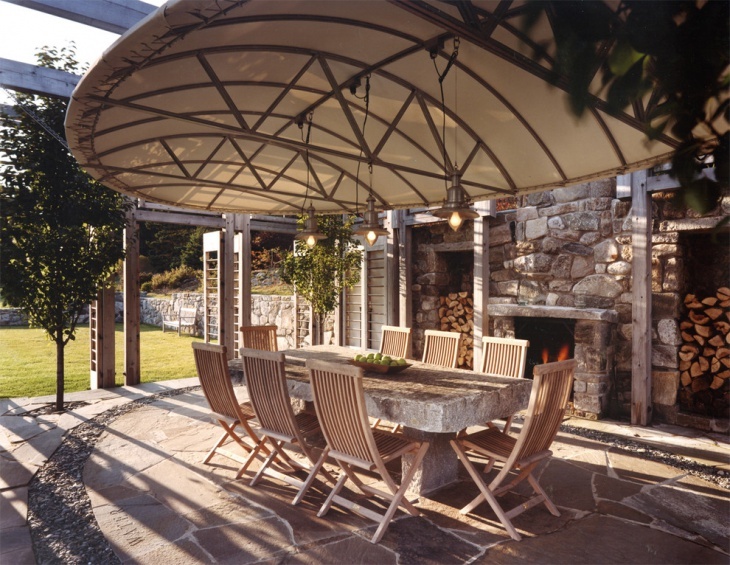 Not too hard and neither too soft, they add to the architectural décor of the outdoors. 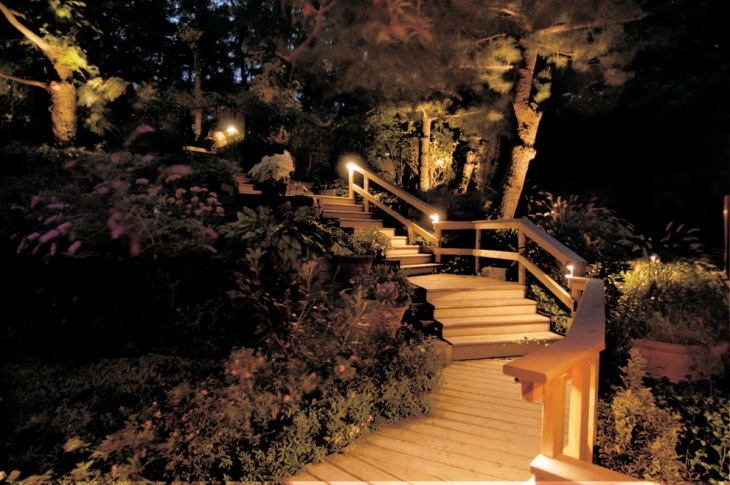 Created using unique lighting fixtures, they adequately light up the seating and also look aesthetically pleasing. 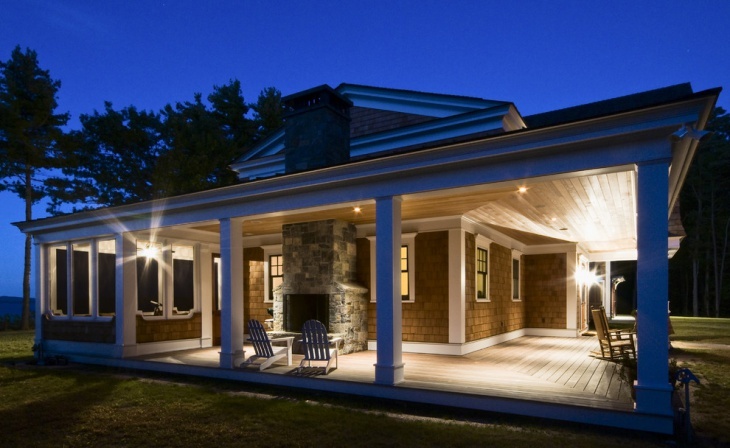 Recessed lighting created by ceiling indentations perfectly illuminates this earthly setting and strikes a balance between the indoor and outdoor. 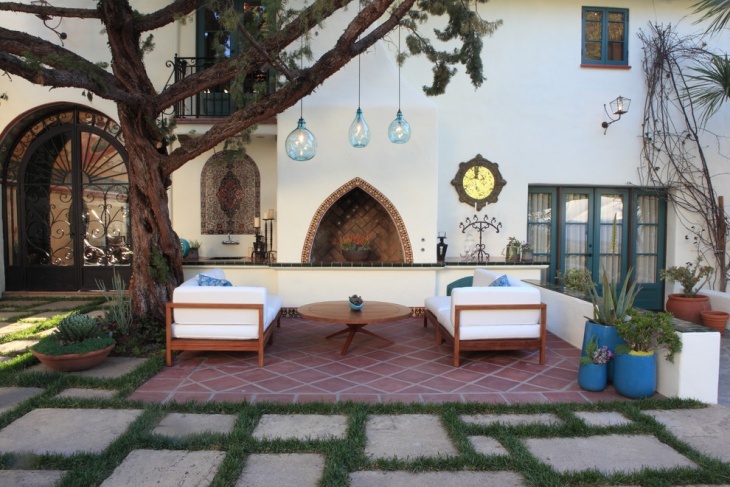 There’s a balanced transition that would help you move in and out of your home while experiencing a dynamic ambiance. 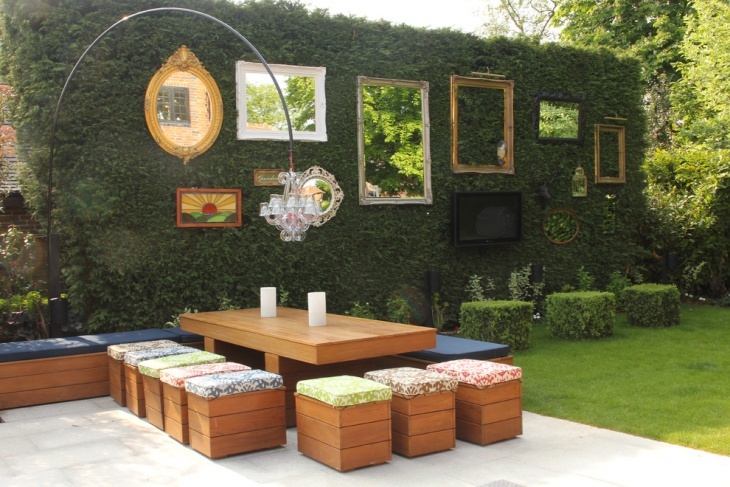 If you have an outdoor space that is well covered on all sides by green foliage, you could use it to your advantage to create a unique ambiance. 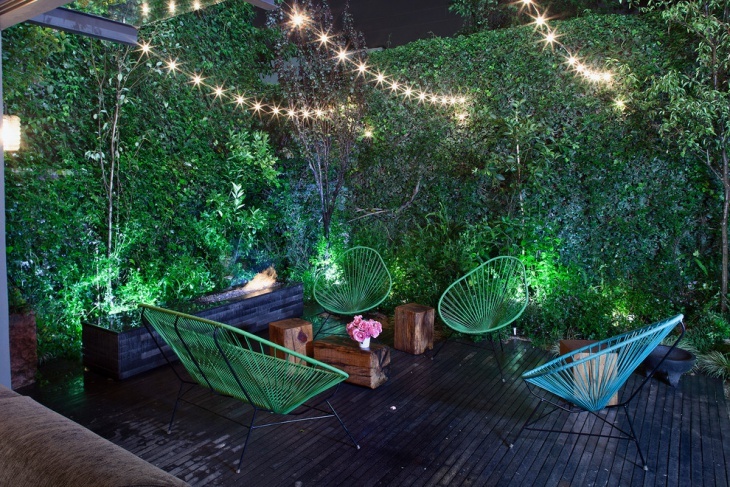 The LED can be placed inside to illuminate the seating and create a romantic mood. 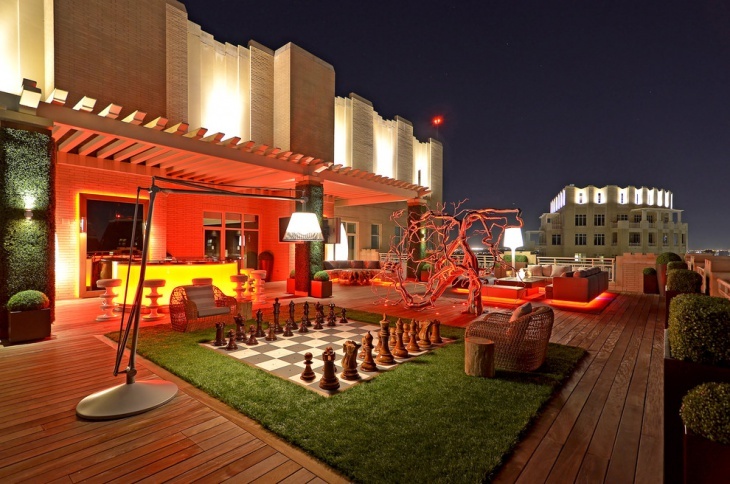 This is the perfect place to enjoy a lazy geek end with your friends or a private date with your loved one. 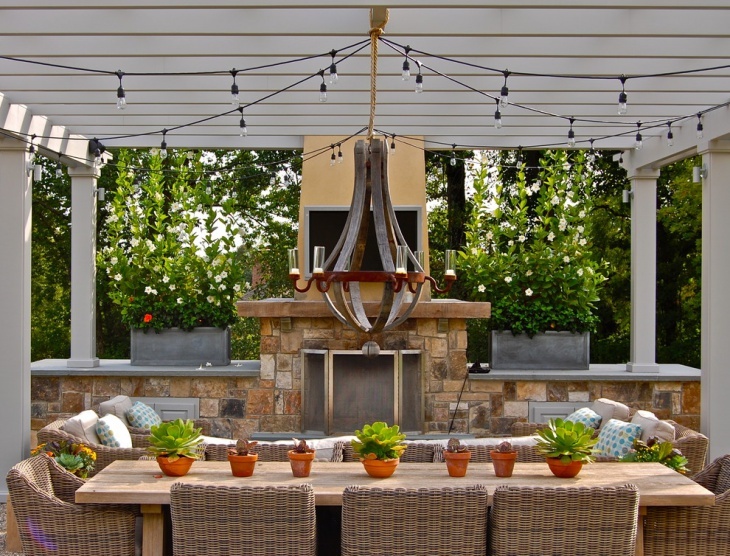 Lanterns and chandeliers have always been a decorative for the indoors, but this is a perfect example where they can also be used in the outdoors. 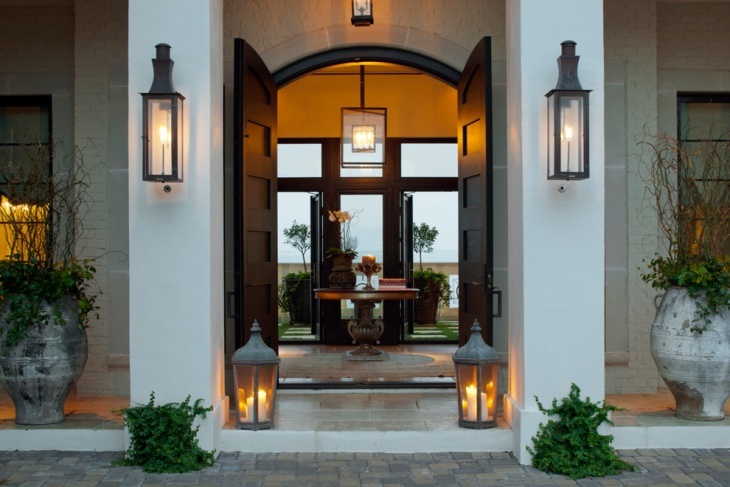 Lanterns have been able to create a warm ambiance that meets the purpose of illumination and also looks good to the eye. Where there is a will, here is always a way. 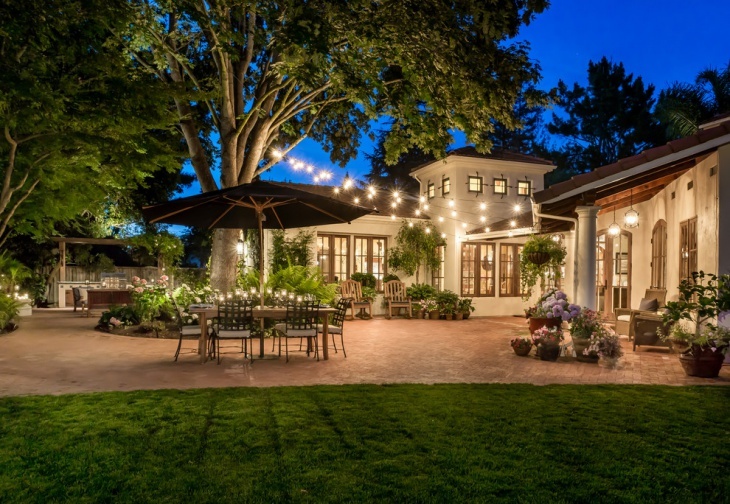 In this case, we see how they have used a rustic iron chain to bring in a romantic chandelier into the outdoor seating arrangement. 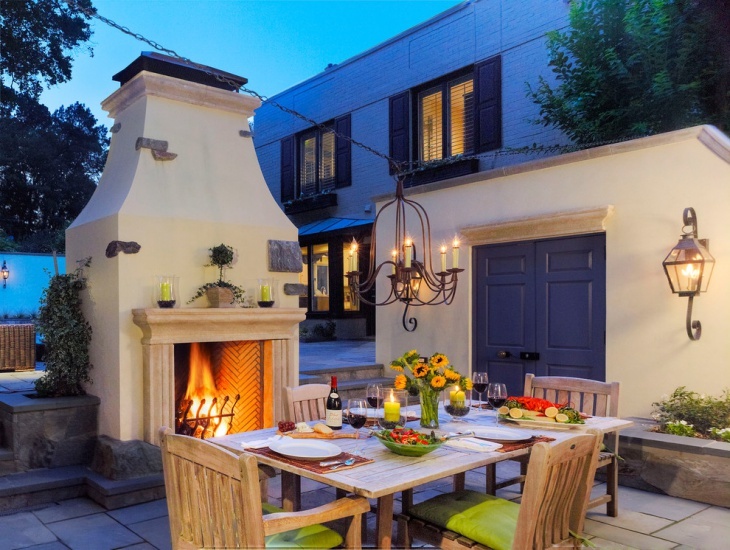 You can also do with an outdoor fireplace to add to the warmth. A wooden table and chair in this setting would be the perfect way to have a romantic dinner under the moon and with candles! 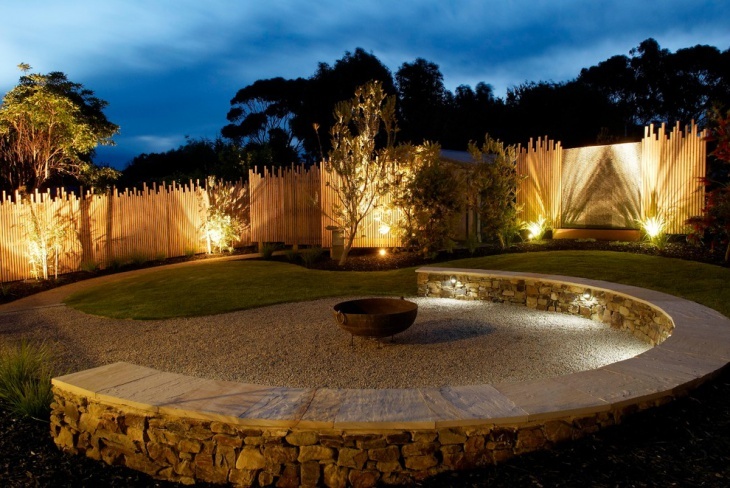 Hope you have liked our compilation of outdoor lighting ideas. If you have something unique going on in your backyard/porch, do share it with us in pictures.